This month Sue, from Crafting a Family is out host and she’s lined up some amazing features for us. Let’s her what she has to say about them! 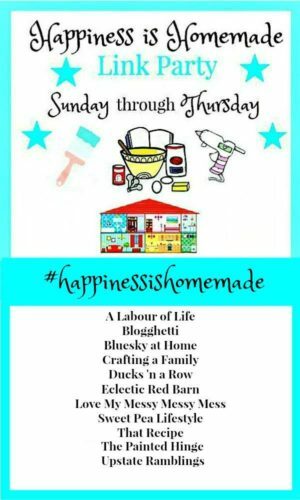 I am so excited to be hosting my first Happiness is Homemade #227 Link Party. I am a new host this year and I have been having so much fun. I enjoy all the awesome posts each week. I love to look at all the great ideas (I can not tell you how many I save to my Pinterest boards). I hope you are having as much fun as I am. I am so excited to be picking out the featured posts and I know you will love them. 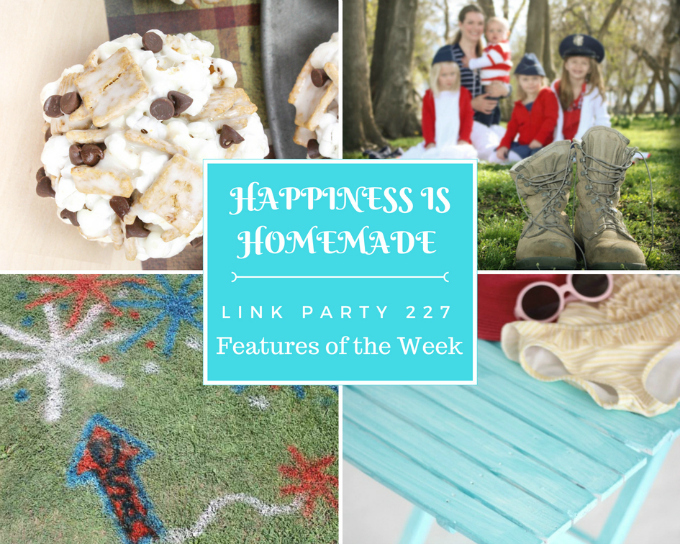 As we are close to the 4th of July week I have some fabulous ideas for you. Every picnic or family 4th celebration need a fun activity for the kids. Angie has the perfect fun sidewalk chalk project for decorating your lawn for the 4th of July. She has a great video that shows you exactly how to use the paint for your decorations and how to get the kids involved. You will love Chalk Spray Paint: How to Use on Your Lawn at Thecountrychiccottage.net. Lisa, I’m #181 today with my Raspberry Danish Braid Coffeecake. Thank you for hosting. Looking forward to visiting lots more links over the next few days. Thanks for featuring my post! Happy summer!